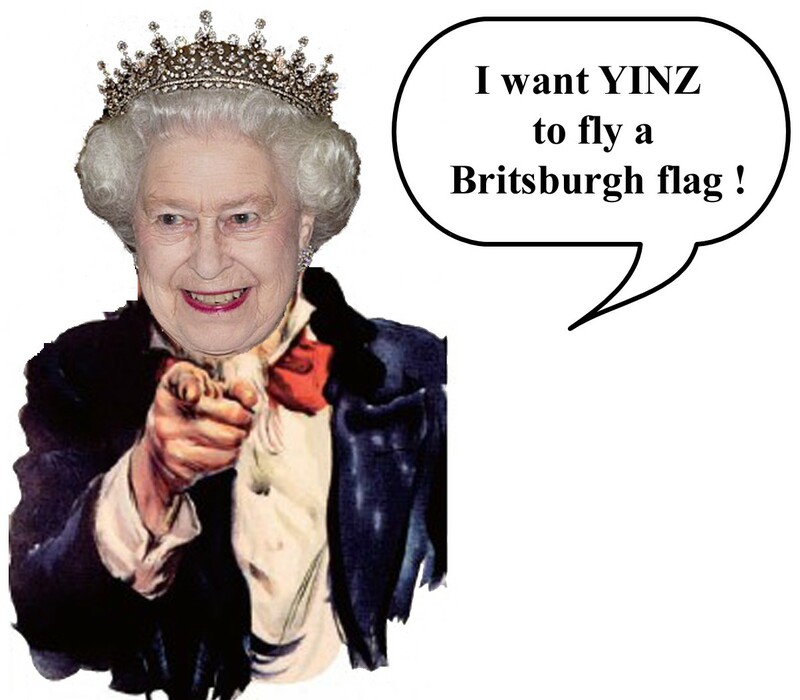 "Britsburgh" flags are interpretations of the British (U.K.) flag in Pittsburgh, black & gold colors, available exclusively from The Flag Factory. 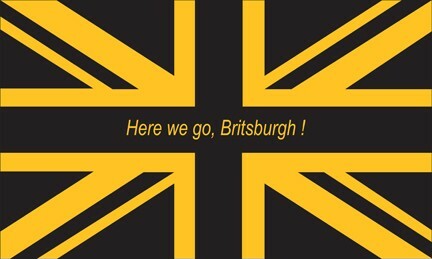 The "Here we go Britsburgh!" 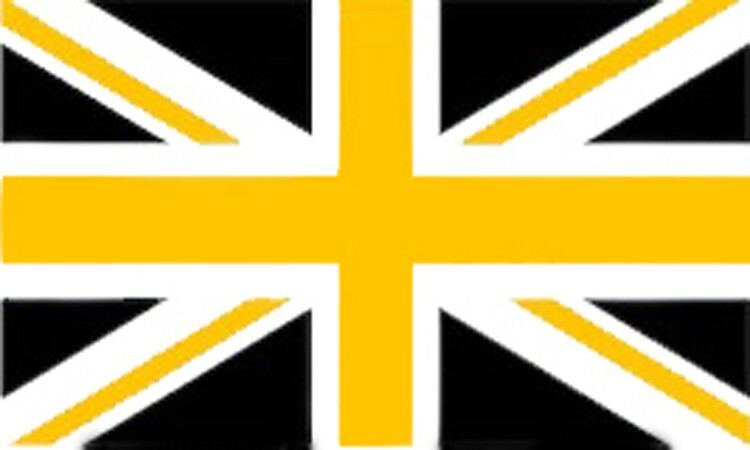 flag was created to commemorate the NFL game the Pittsburgh Steelers played in London in 2013.